Facebook is bringing communities together–and deciding what we might say and read. 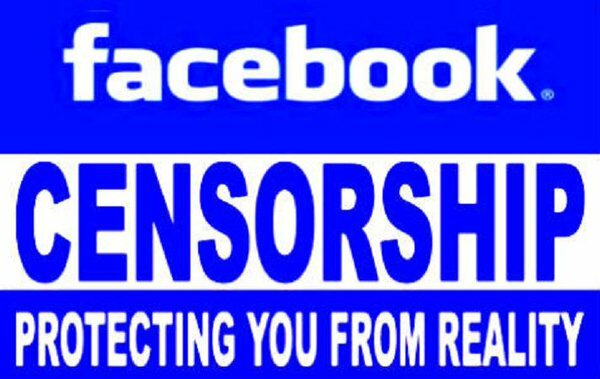 This includes both outright Facebook censorship in which posts are taken down and people are placed in “Facebook Jail,” to new algorithms which limit what we see on our timeline. The new algorithms have greatly reduced traffic to many outside sources harming blogs, the independent media, and even internet comedy. …Zuckerberg has slowly been chipping away at “fake news” sites even when he previously believed that they were not even a particular issue. Following the infamous PropOrNot report barely a week later, which effectively labelled every single site that criticizes U.S. foreign policy as a Russian agent, alternative media has faced a slow and inevitable decline. This has nothing to do with combating “fake news.” I have written over 400 articles online, and close to 100 percent of my sources are from mainstream outlets like Reuters, the New York Times, the Guardian, the BBC, the Washington Post, and others. Why should we be censored for referencing the very news outlets that people like Obama want us to trust in the first place? We are being censored because we look for the paragraphs in those reports which need highlighting, or the hidden reports that go overlooked, and we broadcast it to millions of people on a daily basis. Many other sites on both the left and right are reporting similar difficulties. As Hedges pointed out, this has often been pushed by the establishment wing of the Democratic Party. Supporters of Hillary Clinton have been especially aggressive in filing bogus complaints with Facebook regarding those who disagree with them, and Clinton has outright attacked sources such as Wikileaks, while using what she claims is “fake news” critical of her (even when it is often true) as justification for censorship. Donald Trump has taken a position similar to Clinton’s in backing censorship. While not true of all, many of us in the blogosphere and alternative press also frequently use mainstream news outlets as a major source of information, even if we do highlight key facts which are often ignored by the talking heads who try to tell us what to think on cable and broadcast news. Articles coming from a small site such as this typically are backed up with multiple references from major media sources, but Facebook algorithms now hide what we write. Facebook is essentially running a payola scam where you have to pay them if you want your own fans to see your content. If you run a large publishing company and you make a big piece of content that you feel proud of, you put it up on Facebook. From there, their algorithm takes over, with no transparency. So, not only is the website not getting ad revenue they used to get, they have to pay Facebook to push it out to their own subscribers. So, Facebook gets the ad revenue from the eyeballs on the thing they are seeing, and they get revenue from the publisher. It’s like if TheNew York Times had their own subscriber base, but you had to pay the paperboy for every article you wanted to see. Facebook says that they are building communities, but really they’re fracturing us. We are all on our own little news bubbles and on our own little islands. It’s also fracturing our own creative projects. The internet has turned into a place where you can’t have many different people speaking as one entity and expect those people to make a living. And to me, those are the most exciting, rewarding projects, and I can’t make those now. I am looking at the past with rose-colored glasses, but you can say categorically that the internet was a better place 3-4 years ago. It used to be fruitful, but it’s like a desert now. It looks like we have been warned about this. Back in 2015, Mark Carrigan warned about Mark Zuckerberg’s philosophy of techno-fascism. Posted in Barack Obama, Blogs & Social Media, Civil Liberties, Democrats, Donald Trump, Hillary Clinton, News Media. Tags: Barack Obama, Democrats, Donald Trump, Facebook, Glenn Greenwald, Hillary Clinton, Russia, Wikileaks. RSS feed for comments on this post.. TrackBack URL. Indeed, Hucksterman and his fake public benefit charity are again laughing all the way to the bank. On the other hand, I read last week that views on Facebook were down and they were trying to get former users back. If he keeps screwing around with users, there is the possibility that he might wind up going the way of MySpace.